Health insurance availability and premium costs have for the past few years been major topics in the U.S. news. Premiums have skyrocketed and discussions of “preexisting conditions” are common. 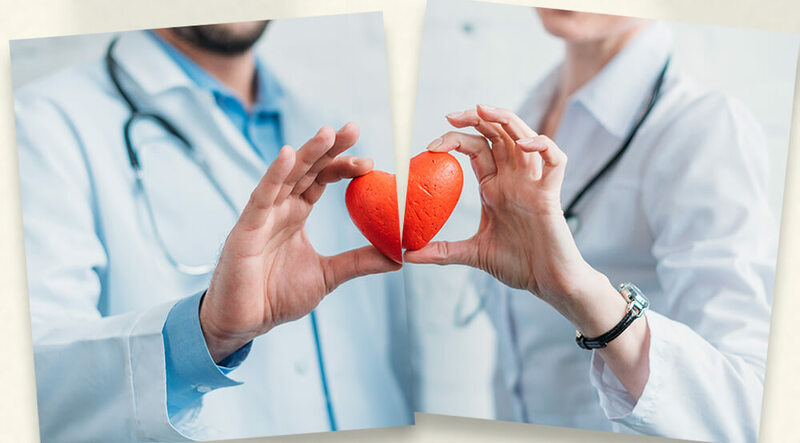 When parties are divorcing, health insurance costs often become a major concern, especially when older parties are divorcing. It is the norm for one person to carry health insurance for the family, usually through an employer. If one person is ill or has preexisting conditions, it becomes critical to determine what health care will be available both pre and post-divorce and at what cost. Once a divorce is finalized, the person carrying the health insurance will no longer be able to carry a spouse on his or her employer’s health insurance. This sometimes results in a delay in finalizing the divorce because the party who is not covered will be trying to delay the divorce as long as possible to take care of as many medical procedures as possible. What about while the divorce is pending? Some counties in Texas have standing orders, which automatically go into effect when a divorce is filed. A standing order, which is an order put into place by the local courts who handle divorce cases, goes into effect when a divorce is filed and the opposing party has been served. It is supposed to prevent divorcing spouses from altering health insurance benefits while the divorce is pending. I say “supposed” because although these standing orders are valid and binding, violations of them are not uncommon and enforcing them is expensive. Also, if one spouse removes the other spouse from the policy during a pending divorce, the insurer may not cooperate in restoring the coverage when the cancellation is discovered. On the bright side, many large employers will not remove a spouse from coverage without a certified divorce decree. For counties where there is no standing order, a person to whom the health insurance coverage is important MUST advise the attorney in the FIRST interview that health insurance is critical. The attorney will then file the necessary legal documents to prevent the spouse carrying the health insurance from canceling or removing the other person while the divorce is pending. Even when the divorce is finalized, a spouse may still be able to maintain his or her coverage through a federal law called COBRA. COBRA allows a divorcing spouse to buy health insurance coverage through their ex-spouse’s employer for up to 36 months. The cost of COBRA coverage must be within 102% of the combined total of a similar employer’s and employee’s contribution to the plan. There may be less expensive options available for relatively healthy spouses, but COBRA can be a good option to maintain coverage. You must notify COBRA according to federal guidelines and provide a certified copy of your divorce decree according to COBRA deadlines to be eligible. A person who is divorcing and to whom health insurance is critical will often tell me, “My spouse has agreed to keep me covered on his or her policy.” Unless the spouse is maintaining coverage through COBRA, this is simply not going to happen. The divorce court cannot order the insurer to carry health insurance on an ex-spouse, and insurers simply do not do it. One option, depending on the income and assets of the parties, is for the party who carries the health insurance to pay contractual alimony to the other party in the amount of the health insurance premium cost. Any such agreement would take into consideration the value of the assets of each, the total amount of such contractual alimony, and many other factors. For counties in which there are standing orders, discussed above, parties are barred from canceling or altering health insurance coverage for children while a divorce is pending. (This does not specifically cover step-children, but divorce courts do not look kindly on any health insurance being altered while a case is pending, even if the children are step-children.) For counties without standing orders, it is again important to remember to discuss that with your lawyer in the first visit. Some aspects of health insurance for children post-divorce are not as clear cut as health insurance for spouses. The non-custodial parent, or the parent with whom the children do not reside, is the party who is usually ordered to pay child support. That person is also required, under the Texas Family Code (the set of Texas laws that governs divorce) to provide health insurance for the children. The cost of that health insurance cannot, except by agreement, exceed 9% of that person’s gross income. Careful analysis has to be given to what coverage is in place when the divorce is filed and what will be required when the divorce is granted. If the non-custodial parent is required to maintain the health insurance and decides to get a high-deductible policy after the divorce, that can have the effect of no health insurance at all. Also, if the non-custodial parent cancels the policy without notice to the custodial parent, the custodial parent could be facing a situation where the children are not covered and have not been for some time. When I am representing the custodial parent, I advise, if at all possible, for that parent to provide the health insurance because it provides the kind of control that the parent with whom the children are living needs. If the custodial parent provides the policy, the court will require the non-custodial parent to reimburse the custodial parent the cost of the children’s health insurance, up to a maximum of 9% of the paying person’s gross income. Parents who have children on government health insurance such as Medicaid or CHIPS have unique considerations also. Although the custodial parent may not realize it, if that parent receives State services such as food stamps or any government assistance, the State will be looking to the other parent to reimburse the State for at least some of that cost. If a child is covered by Medicaid at the time of the divorce, the non-custodial parent should be ordered to pay $50-$75/month, depending on the paying parent’s income, to cover that cost. The State will then, when that money is paid through the disbursement unit for child support, pay the State that money instead of the custodial parent. Non-custodial parents need to be especially careful not to make direct payment to the custodial parent because in doing so they could end up with a large debt owed to the State for the services it has provided. Paying through the disbursement unit insures that the non-custodial parent will not be hit with a large bill to the State later. The importance of health insurance considerations is often over-looked by inexperienced or less careful lawyers. To avoid major problems later, it is important to hire a divorce lawyer who will discuss all this with you so that you can make the right decision for your family.